Short excursion into the year 2028. Your telephone rings, already out of habit you look at your wrist. Face Detection unlocks the display of your wristband and automatically picks up the call and you’re instantly on video call. Is this really the case? 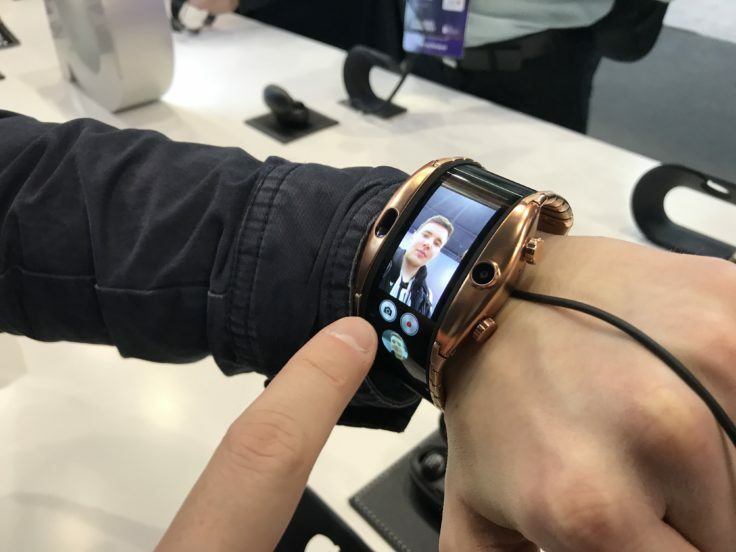 After all, we were able to discover the first gadget of its kind at MWC 2019. 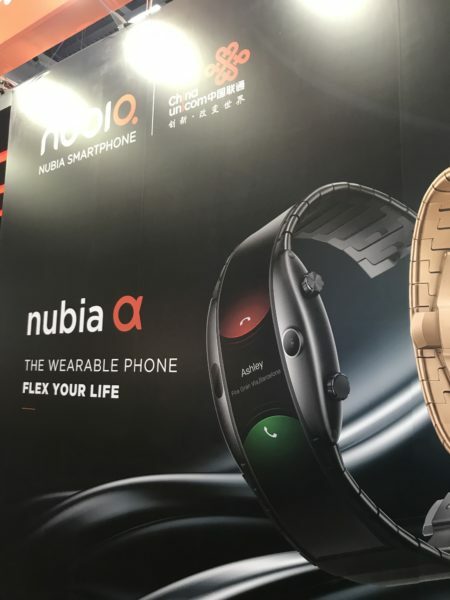 The Nubia Alpha (Nubia α) is a fully functional smart phone with a flexible touch screen in a wristband. It is a smartphone integrated into a wristband, which has a camera and a touch screen. The screen is flexible and slightly curves around the wrist at the top and bottom. 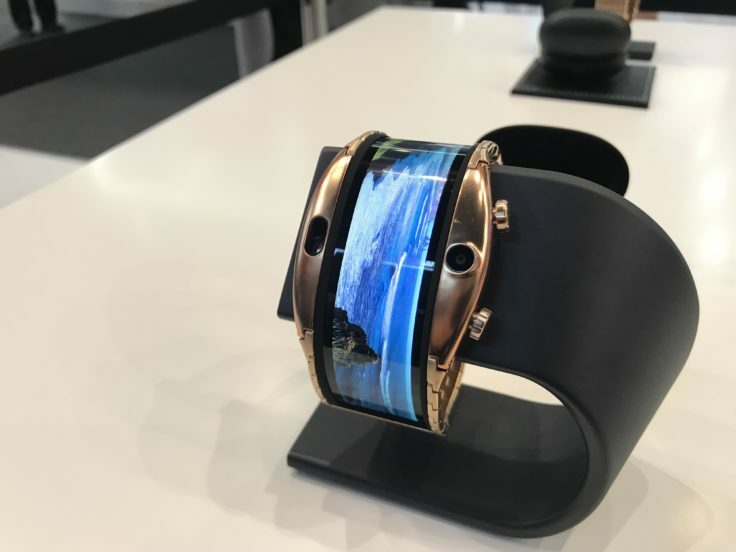 The OLED display offers a diagonal of 4 inches and a resolution of 960×192 pixels; Visionox manufactured the panel and it is said to be the largest foldable display on a wristband yet. 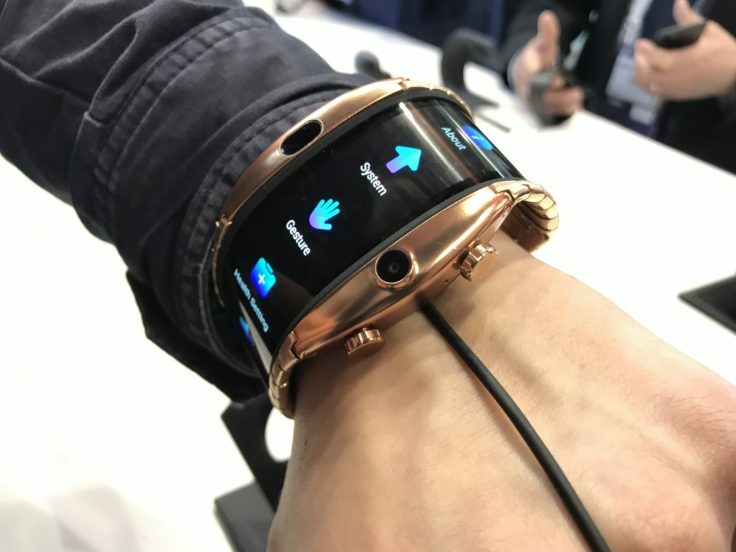 The Nubia Alpha is apparently operated additionally via two buttons, which are located on the left and right of the middle section of the bracelet. In addition, the touch screen will of course be used. Is it a Smartwatch or a Smartphone? If you look at the processor, it looks more like a Smartwatch. Finally, Nubia integrates the Qualcomm Snapdragon 2100m, a Smartwatch CPU that we already know from the Ticwatch C2. In addition there is 1 GB RAM and 8 GB internal memory. These components are powered by a 500 mAh battery, which, according to Nubia, should provide up to two days of battery life. 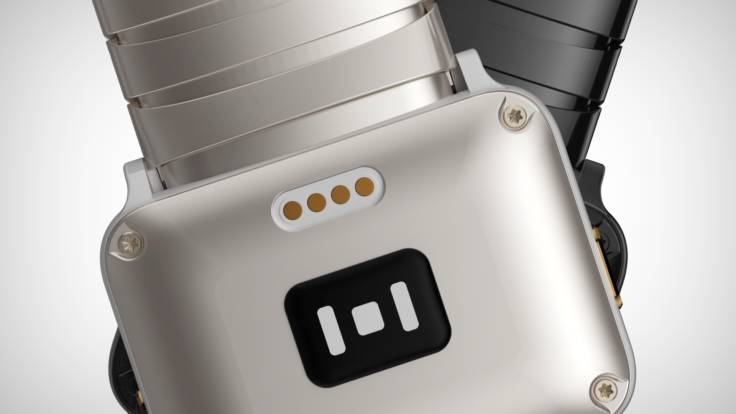 The 5 MP camera sits on the upper side, so it faces the wearer and is probably intended for selfies and video telephony. In addition to the camera, Nubia also implements Bluetooth, WiFi and 4G, but only via eSIM and not in every version. Such a device needs of course a strongly adapted operating system, for which Nubia provided of course. Selfies with the Smartwatch, cooler than with the smartphone? There’s also a sensor on the bottom. This makes it possible to measure your heart rate. This is not only used for sports, but also for analyzing sleep, for example. With the Nubia Alpha you also get a full fitness tracker. More useful than a foldable smartphone? Nubia herself says they were inspired by science fiction, and you can definitely see that in the Nubia Alpha. Whether this is really the future of telephony remains to be seen. Smartwatches have not yet managed to become a real alternative to smartphones. However, this use of a flexible display seems to make at least as much sense as with a foldable smartphone like the Royole FlexPai. What is a bit in the way of this pleasure, however, is the price. The cheapest version costs $500, comes completely in black and is only equipped with Bluetooth. For $100 more there is the 4G eSIM version and for $100 more there is also the golden bracelet. Would the Nubia Alpha be worth it to you? Will it be available for U.S providers? @josef we can’t really tell right now, as there a too little information on it at the moment. But we will update this article accordingly if there are any news. Will it be ready for Nigeria?? ?